The value of dedicated GPU is going beyond the needs of gaming, it is proven to fulfill the professional needs for Deep Learning researches. As it turns out the modern graphics cards are very good at achieving the framerate requirements for virtual-reality. To our biggest surprise, GPU is profitable at mining crypto-currency again, such as Ethereum, so we can profit from our current hardware setup. This article will run through the basic mining knowledge, and guides how to setup a Windows 10’s machine with a GPU to do Ethereum mining. To reduce the risk of the adventure, like everyone at that time, we started out by utilizing the gaming GPU to reach a profitable hashrate (to be explained later). The profitability is measured by how much coin value that you generated against how much electricity that you paid. If the coin value is higher then the cost of electricity, you are in a profitable mining business, excluding the initial equipment cost. The original Bitcoin hashing algorithm (SHA256), performing a complex but fixed sequence of operation can be replaced by ASIC (Application Specific Integrated Circuit) dedicated hardware. The computation speed and power efficiency of ASIC essentially killed the profitability of using GPU based mining quickly. In order to stay in the Bitcoin mining game, Adafruit’s instruction to build a Raspberry Pi Bitcoin Miner, which can hash at 2 GH/s with extremely low power consumption (see the following picture), will keep mining alive for a little longer. Figure. 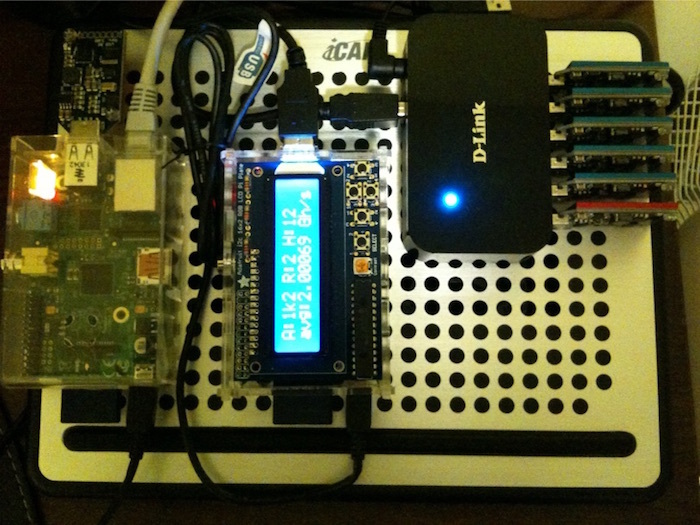 Raspberry Pi Mining Rig running at 2 GH/s, the Raspberry Pi has attached to Adafruit 16x2 LCD + Keypad Kit to display mining statistics. The row of ASICMiner Block Erupter USB sticks, each is capable of 300 MH/s. The power consumption for each Block Erupter will be 5W, making the miner very profitable at 2013. But it is useless at 2017. For the history of Bitcoin mining, the rise of ASIC dedicated hardware basically destroyed all GPU-based mining profitability by the exponential grow of the Bitcoin Network Difficulty. Until recently Ethereum, which is believed to be Bitcoin 2.0, specifically designed it’s Ethash as Memory Hardness Algorithm to make ASIC hardware based solution impractical; subsequently, Ethash has made GPU-based mining profitable again. Also, adding to the miner incentive, the Ethereum trading price has enjoyed some significant growth. Ethereum not only shows it’s profitability but also the Ethereum trading liquidity as a popular cryptocurrency for the future. The key cryptocurrency technology is Blockchain. The Blockchain “locked-in” all the transactional facts into space and time, such that modification will be almost impossible in the open and distributed network. The “space” is the content and “time” is the sequence of contents. 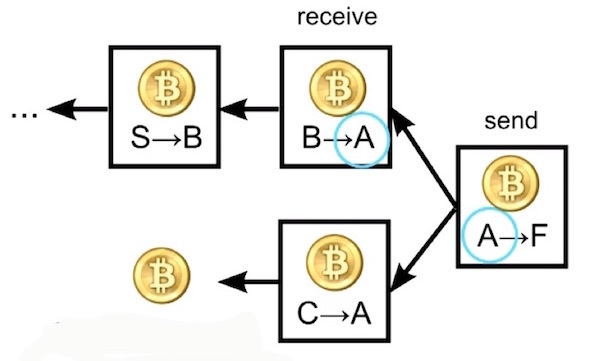 Imagine a Block content is the facts about money transfers, the Block’s hash value will provide an unique signature (or digest) to tell if the Block’s content is authentic. 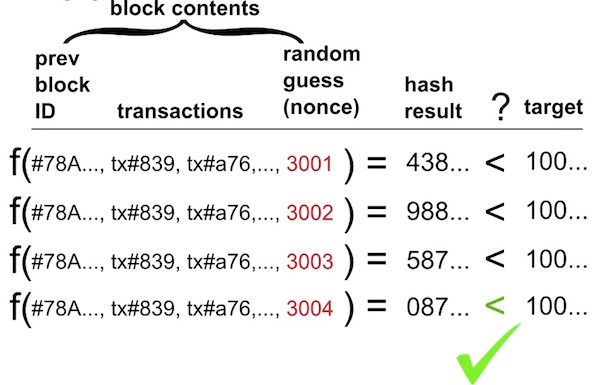 If the Block’s content has been tempered in anyway, the hash value will be different so that everyone knows that the content cannot be trusted. Since the Blockchain has been distributed throughout the open network, other untempered copy of the Blockchain can continue to maintain the truth. The tempered Blockchain will simply be ignored. In addition, this is impossible to reverse engineering the content to produce the same hash value, as if modifying the content enough to fake the hash value. This is the beauty of the Cryptographic Hash Function; even if you changed a single character, the hash value will be changed so significantly such that you have no way to control the changes. For the Blockchain of cryptocurrency, e.g. Bitcoin or Ethereum, the Block’s content will be the transfer of coins. Imagine the following Blocks for the coin transactions, we can always trace back the origin of a coin. For example, the coin sent by can be traced back in time through the Blockchain connectivity, where the totality of coins funding are received from and transactions. However, we have noticed the original funding seems to come from the thin air. Figure. 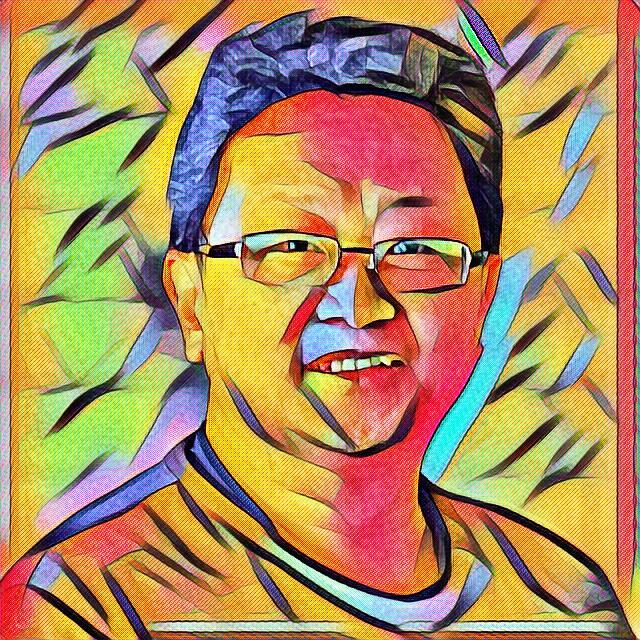 This picture illustrated all coins sent and received can be traced through the Blockchain. Except the origin of funding seems to be generated from the thin air, which is the reward of mining. Many popular opinion doubts about the value of Bitcoin or Ethereum. The computational power in the form of electricity consumption is the value of the coin. Currently, generating 1 Bitcoin will cost approximately $1000 USD electricity, where the intrinsic value of Bitcoin is stored. While you are receiving the printed $100 USD bill, that bill has no intrinsic value other than a piece of paper promise. The $100 bill does not have any backing stored to retain it’s value (no equivalent gold value is stored along with USD anymore). But the Bitcoin or Ethereum has the value stored by the difficulty of their generation. The remaining question is the significance of the network difficulty. Imagine the guessing game of between 1 to 10, the difficulty that one can guess it right is the chance of 1/10. We say the equivalent of 1 guess is equal 1 hash, the difficult is 10. In average, a player needs to guess 5 times before a guess is hitting the correct number. However, if this guessing game is having too many guesses happening in a short time, the correct guess may happen too fast. The guessing game’s maker (the whole network) will automatically adjust the difficulty, adjusting from 10 to 100, to reduce the correct guess happening too fast. This is the essence of using the network difficulty to control how fast a correct guess can happen. Figure. This picture explain the input of the hash function must be manipulated to generate a hash result of specified difficulty. The difficulty is a pattern of easy comparison, in this case, the hash result is less than 100. In NO scenario that a miner should modify the transactional content, in order to manipulate the hash result, miner can only modify the “nonce” section to generate a hash result and check if the hash result meets the target requirements. For each “nonce” change, recompute the hash result and compare against the target requirements, is exactly ONE hash. The speed of Ethereum hash is currently measured by MH/s (1,000,000 hashes per second) by using a GPU. For instance, Nvidia GTX 1070 can compute 25 MH/s without overclock (after overclock, it gains 20% speed and reaches 30 MH/s). Different cryptocurrency has different hash algorithm and requirements, but the essence of a hash is the same. If a miner be the first who compute the hash result matched the requirements against the whole network; then that winning miner will be reward with the coins! That’s exactly the goal of mining. Obviously, only using a small computing resources winning against the whole network is very difficult; that’s why the Mining Pool concept can be applied to join force to win. The prerequisite to mining is having a machine installed with a modern GPU. For a typical gamer or a Deep Learning researcher, you would probably have a Windows 10 machine ready to be deployed for Ethereum mining. Figure. Showing Claymore Ethereum Miner in action after all the following setup. GPU can be put to work hard for your money. Here is a quick run down on the 10 steps. (2) Setup an Ethereum Wallet: Jaxx is a multipurpose cryptocurrency wallet that can run on any platform. Miner needs to get the public address of the Ethereum wallet; that public address is used to store the mining rewards. (3) Ethereum Mining Software: Download and install Claymore-Ethereum-Miner that works with Nvidia GPU optimally. Please follow the Mining Clients - Claymore - Windows instructions from Nanapool help page, the next few steps repeat the important info. For this article, the Claymore's Dual Ethereum AMD GPU Miner v9.8 (Windows/Linux) for Windows 10 is used. (4) Choose a Mining Pool to join: Claymore Ethereum Miner’s default is Nanopool which has a great API and Web UI. Miner doesn’t need to register with Nanapool. As soon as a Ethereum’s public address using Nanapool to receive some reward, the account will be automatically setup with that public address. 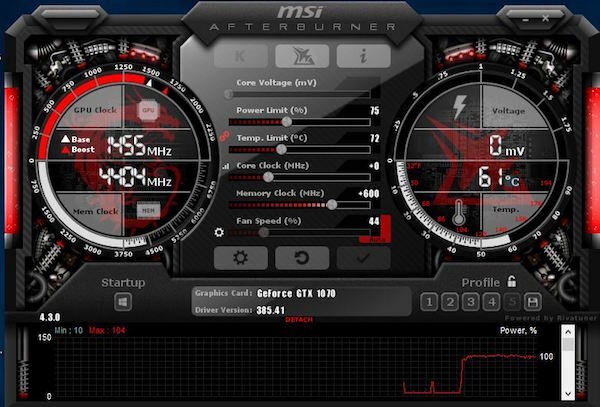 (5) Install Overclock Tool: MSI Afterburner as the overclock setup and monitor. The following shows an optimal overclock settings for Nvidia GTX 1070 GPU, which produce 30 MH/s, 100 Watt power draw, 61C temperature with 40% fan speed. Since Ethash (Ethereum Hash function) is essentially GPU memory bounded, overclock the GPU memory is sufficient without increasing the GPU core clock. This should reduce the power draw and the temperature of the GPU, while maintaining a great hashrate! (6) Setup and run the Miner Script: The Claymore miner comes with many batch scripts to do mining. For simplicity, starting with the Ethereum only mining script, follows the instructions to modify with your Ethereum wallet’s public address. It is using Nanapool in US east cost address eth-us-east1.nanopool.org:9999 as the mining pool. As a general rule of thumb, choose a pool address that is closest to your geographic location. Important don’t forget to change 0xf1cfc50567acf36c55ba75540b7f1c3f1aaa986 to your Ethereum wallet’s public address; otherwise, you are contributing to my wallet :). After the next /, gives a name to the mining machine. The next / is optional, you can provide your email address for notifications and enabled the ability to update Nanopool’s payout schedule, i.e. this is good to provide an email. (7) Monitor the Mining Operation: You can observe the hashrate measured in MH/s (1,000,000 hashes per second). The following screen output shows a typical Claymore Miner’s log report. For example, GTX 1070 hashrate is 30 MH/s, with 110 Watt power draw and average electricity cost of $0.12 KW/h. The estimated dollar earning is affected by the current Ethereum trading price. It is easier to measure by ETHs that have been mined. (9) Repeat (6)-(8): Visit Nanpool and search for the Ethereum public address. 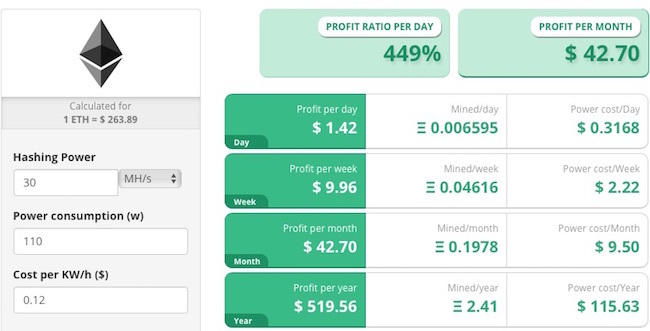 It will display the mining statistics.